As Winter Storm Stella hammers the Northeast with 2 feet of snow in some areas, we wanted to be of some help 1,000+ miles away. 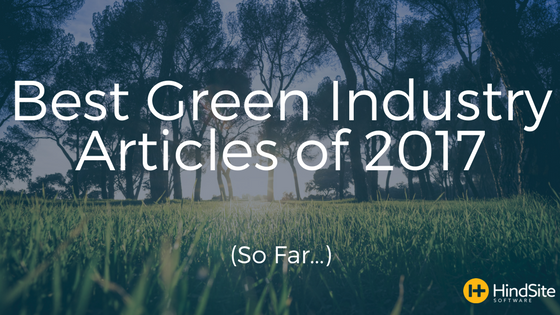 So we’ve compiled some of the best green industry articles of 2017 through the first two and half months for those of you snowed in and looking for some useful reading material. That’s not to say those not experiencing any of the fluffy stuff can’t indulge, of course, all are always welcomed. Looks like you’re someone who loves filling their head with knowledge. Check out our recently released 2018 Green Industry Benchmark Report. With nearly 60 pages and 60+ charts it’s almost certain to expand your mind.